Ok so this is my Gustloff collection. The sinking of the Wilhelm Gustloff on January 30th 1945 was the worst loss of life (9,343) in maritime history. The center piece is a Rare KdF - Kraft durch Freude ‘Wilhelm Gustloff’ Sommer Tellermütze. It is constructed out of a white cotton and navy blue doe skin wool, with a black, white, red and yellow rayon machine embroidered cap tally and navy blue piping to the base and white piping to the crown. The very front features a die stamped, aluminum alloy based, gold gilded navy KdF emblem, which features a: DAF emblem above a fouled anchor. The stitched on cap talley reads: “M.S. Wilhelm Gustloff” and is flanked by an NSDAP Flag and a DAF Flag, on a black base above and below a white and read border strip. The interior has a stitched on cream leather sweat band. It has minor stitching loss and holes throughout. There is no lining or moisture shield. There is age toning and soilage throughout. A photo album that includes the ship's passes, tickets and 36 photo's. A small souvenir packet of 12 pics of the ship itself including the interior. A group of 18 daily schedules with menus. 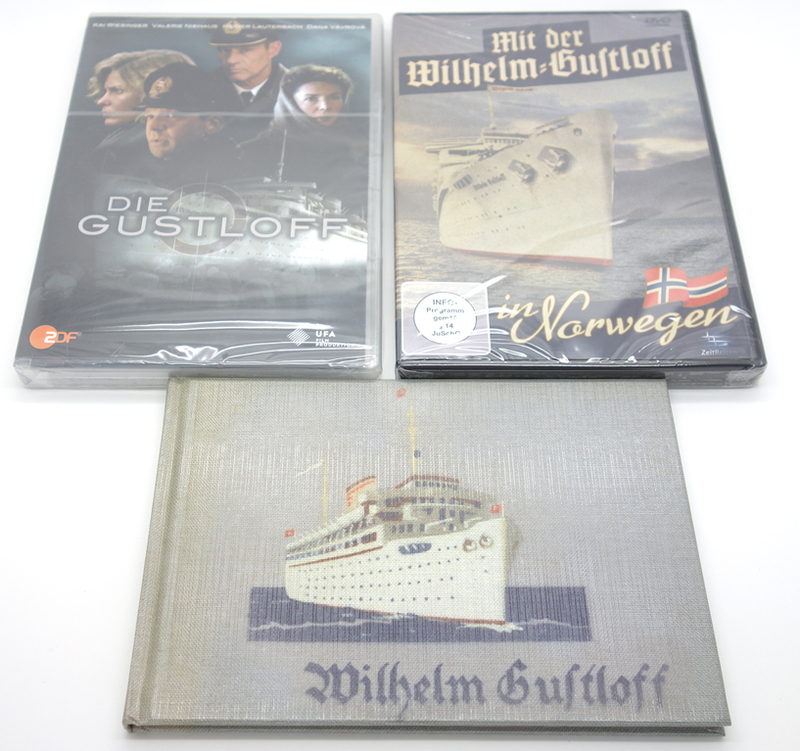 2 DVD's on the Gustloff, (in German) as well as a new album with pictures. The first picture shows all that is included in the collection with the exception of the final picture, with the DVD's and Book I'm included those too. 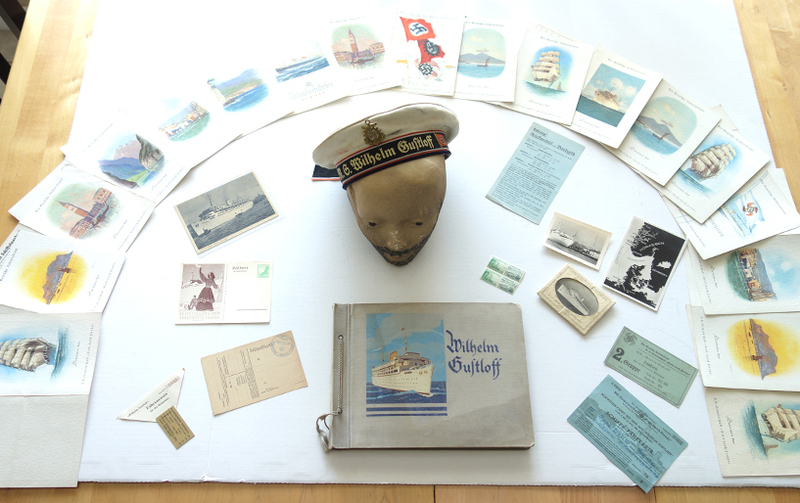 I believe that much of the paper items came out of an estate that the couple has taken a cruise on in the late 30's.